Portland Community Reinvestment Initiatives Inc. · Events - Portland Community Reinvestment Initiatives Inc.
Save the Date! 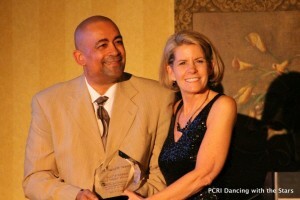 Tickets are on sale now for PCRI’s 2nd Annual Dancing with the Stars Portland gala. The red carpet Gala will be held Saturday, March 23, 2013, and promises to be even more exciting than our 2012 premiere event. An all-new cast of stars will be paired with professional dancers from Fred Astaire Dance Studio and will show off fresh new routines taught by the Fred Astaire Studio instructors. Building on the runaway success of the premiere gala, the 2013 event will feature a lively reception in a larger, more inviting setting, and an even more exciting auction, all paired with drinks and a plated dinner. All funds raised from the event will be directly utilized to preserve PCRI’s existing affordable rental homes, develop new homes for affordable rental and homeownership opportunities, and expand PCRI’s award-winning, culturally-specific resident services programs. Sign up for our email list to get the latest information about dancers and special invitation-only events leading up to the gala. Be sure to check out the Gala website to purchase your tickets and to learn more ways you can participate! PCRI and the Portland African American Leadership Forum are asking for community assistance to help support Portland’s involvement in the Million Father March. The march is a call for African American men to show up for the first days of school and strive to make this school year a success for our community’s students. Please read the details below, sign up, and pass this onto your networks! This year’s Million Father March is the combined effort of the Black Parent Initiative, the Coalition of Black Men, and the Portland Branch NAACP, coordinated with permission and requests from local Portland Public Schools. The form of “The March” is simply for men to show up at school campuses on the first day of school, September 5th, 2012. In the case for Roosevelt High School in Portland, the first day of school for all students is Thursday, September 6. For men who intend to go with their own children and grandchildren to school on the first day, we salute you with the hand of friendship and commendation. 7:30 a.m. @ Roosevelt High School, Thursday, September 6th. Collaborate with schools to encourage improved behavior and school achievement. Promote interaction among the “Ambassadors” (giving participating men an opportunity to meet on equal footing). Inspire more parent and family engagement at schools. Supply youngsters with lists of individuals who have overcome barriers and achieved renowned success. Foster inter-generational dialogue and understanding between young men and elders. For more information about these locations or perhaps others, please make contact with: Christopher James at 503.502.2965 or Michael “Chappie” Grice at 415.722.4348. The weather is warming up and the hottest tickets are to the Portland Timbers! 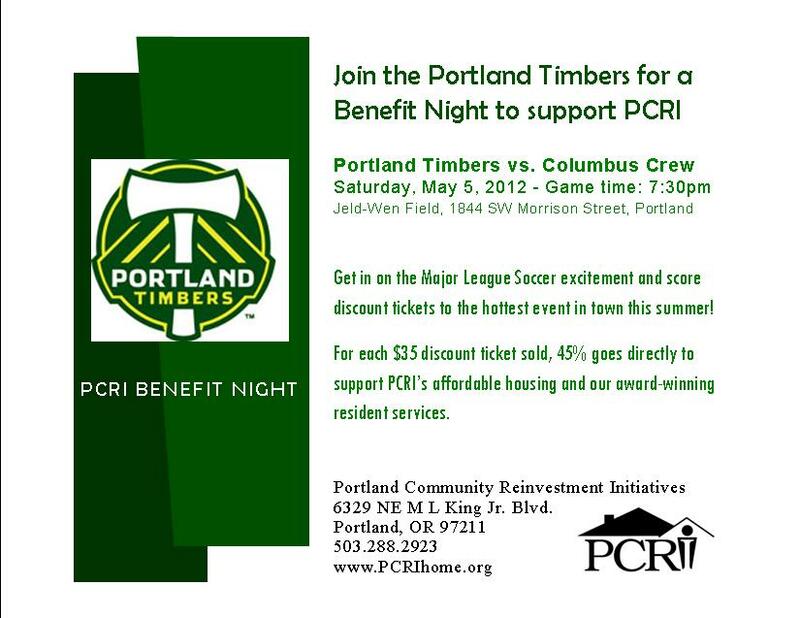 Lucky for you, PCRI has tickets for the May 5 game vs. Columbus Crew. We have a limited number of tickets to this Timbers game, so don’t wait to reserve yours — email our events team today! Tickets are $32.00 each (face value is $39.50!) and 45% of the ticket price for each ticket sold comes back to PCRI to support the community reinvestment, individualized resident services programs and affordable housing that we provide to help individuals and families stabilize their lives and achieve self sufficiency. Pass along the word to your friends and family today – the quantity of tickets is limited. Email us or give us a call soon to reserve yours! 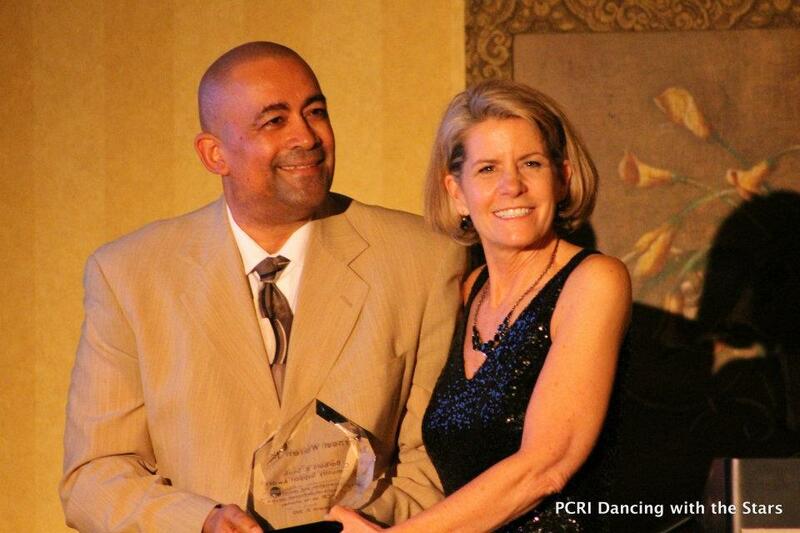 PCRI’s Premiere Gala Benefit was an exceptional—and exceptionally successful—evening! 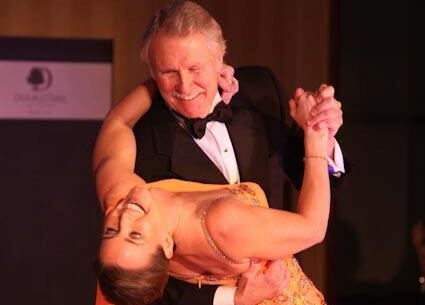 Thanks to First Lady Cylvia Hayes and Governor John Kitzhaber, we started off the program in style with their dramatic and graceful waltz (check out the coverage of their dance in The Oregonian!). Following the Governor and First Lady’s dance performance (and a packed reception before that), the quick-witted Margaret Carter took the microphone as the evening’s Mistress of Ceremonies. For the rest of the fast-paced evening, Mrs. Carter led a full house of guests through an introduction to Executive Director Maxine Fitzpatrick, a brief video history of PCRI, and to a fantastically successful and competitive auction facilitated by Kelly Russell of Kelly Russell Auctions. Ms. Russell also presented a triumphant special appeal with former PCRI resident and successful homeowner Betty Mason before offering the podium to former PCRI Board Member Barbara B. Smith, who presented Ernest Warren, Jr. with her namesake Community Support Award. The headlining entertainment of the evening, the Dancing with the Stars-style competition, was also a runaway success. Five prominent local celebrities were each trained by and paired with professional dancers from Portland’s Fred Astaire Dance Studio. Each dancing couple put on a spectacular show in the individual performance as well as the group waltz competition. In between dances, the competition’s celebrity judges kept the audience entertained with their witty commentary about the dancers’ performances. 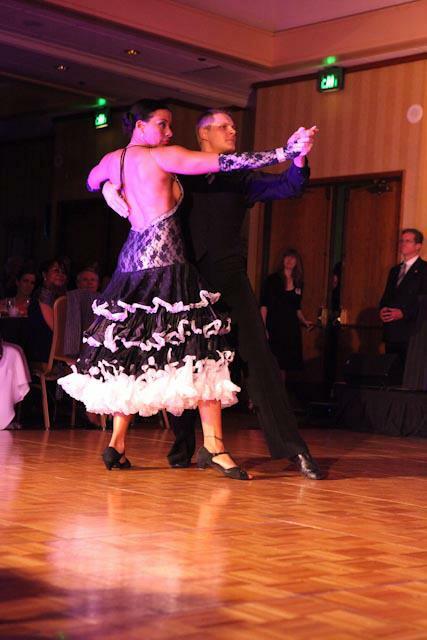 Pressed to crown a champion, the judges had their work cut out for them: Stephanie Torres, Director of Events for the Portland Business Journal, took on a difficult rumba for her individual performance and, along with Fred Astaire’s Alex Aillon as her dancing partner, made it look easy. Voted by the judges as the top dancer in the group waltz competition, professional sports representative Trisonya Abraham also danced a dramatic and stunning tango with professional partner Austin Faller. 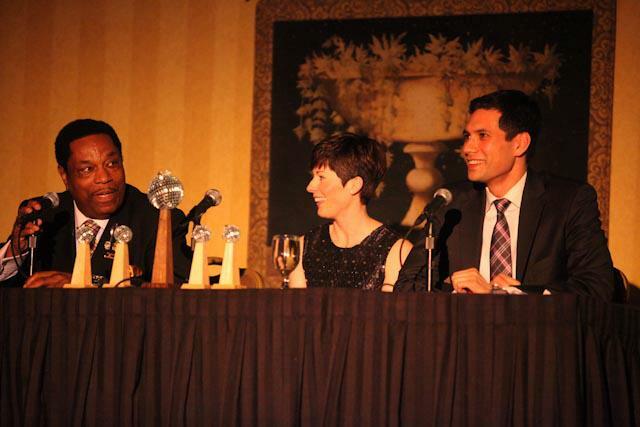 The champion of the evening was Portland attorney and interim Director of the National Association of Minority Contractors of Oregon, Melvin Oden-Orr, along with his dance partner, Fred Astaire’s Tara Konyn. Mr. Oden-Orr and Ms. Konyn stepped onto the floor like true entertainers and put on an amazing show, cha cha-ing their way to the top of the judges scoresheets. Fred Astaire Dance Studio followed the competition with a stunning show put on by their professional dancers (yes, the photo below was really taken at the gala!) as well as a lesson, then the dance floor was opened to the gala guests who immediately rushed out for their own around the (packed) dance floor. We extend a giant thank you to all our sponsors, table captains and guests as well as the fantastic volunteers who made the evening such an amazing success. Thank you also to our professional photographer Xilia Faye as well as our volunteer photographer Izzy Ventura for the stunning images from the event. Be sure to check PCRI’s Gala Website as well as our Facebook page for more photos of the event and to see what’s coming next! Last weekend, PCRI and Cascadia Green Building Council’s Emerging Professionals organized a hands-on volunteer home improvement project in one of PCRI’s affordable rental homes. 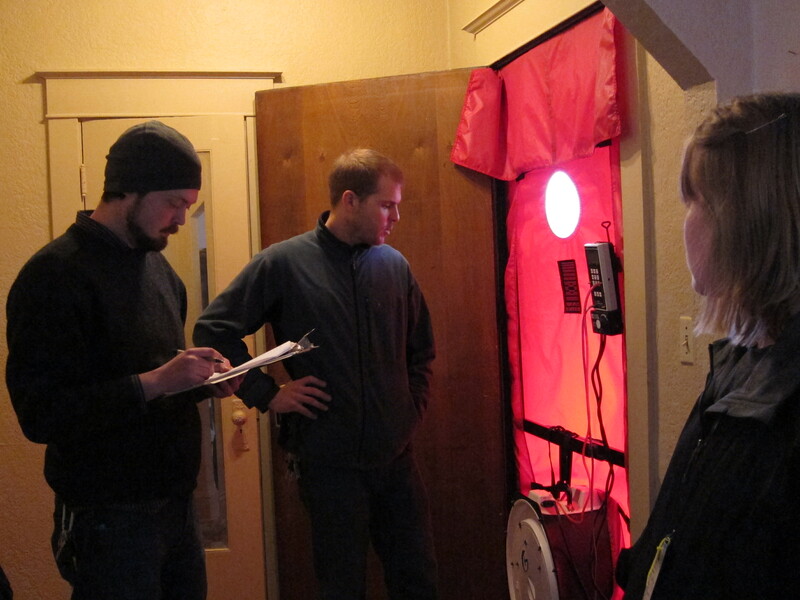 The volunteers teamed up with Green Hammer Construction in mid-February to observe and participate in Green Hammer’s Home Performance assessment process, conducting weatherization testing, inspecting insulation and verifying safe operation of combustion appliances, like the furnace. Armed with information gained from the testing, the crowd of nearly two dozen volunteers (pictured at right), led by PCRI, Emerging Professionals and Andrew Morphis of Green Hammer Construction, tackled projects to make the home healthier, more comfortable and more efficient. Existing carpet was removed to expose wood floors that were ready for refinishing. Old kitchen cabinets were deconstructed to make way for new, more usable ones. Windows that were previously painted shut were once again made operable for fresh-air ventilation. Insulation was improved and volunteers slathered mastic on the heating ducts to ensure they operated as efficiently as possible. All of the materials that volunteers removed were carefully sorted to enable recycling and keep as much as possible out of the landfill. PCRI’s Executive Director, Maxine Fitzpatrick greeted the volunteers before they started on the project. She thanked them for their service, adding that their volunteer efforts are priceless in supporting PCRI’s ability to provide below-market rate rental homes to residents who rely on these opportunities to stabilize their lives and return to self-sufficiency. In addition to the home improvement benefits realized by PCRI, volunteers utilized the day as an opportunity to learn more about efficiency, home performance testing and existing buildings. “I think there were a lot of learning opportunities for energy efficiency projects as well as the real world variability of existing buildings and the challenges that they inherently represent,” said Emerging Professionals volunteer Jackie Kingen. To reward the volunteers’ hard work, Parr Lumber rolled up to the work site with their BBQ trailer and grilled up a meal of burgers, hot dogs and veggie burgers (plus some chips and cookies for good measure!) to refuel the volunteers on the day of the event. Click on any of the pictures below to view the full size image. PCRI’s is a Community Partner with Cascadia Green Building Council and the International Living Future Institute for their upcoming Living Future 2012 Conference. The conference, scheduled in May, will be the Northwest’s premier Green Building conference and expo. More information about the conference can be found at the Cascadia GBC’s website. PCRI is preparing an exciting 20th Anniversary gala to celebrate two decades of service to the Portland community. 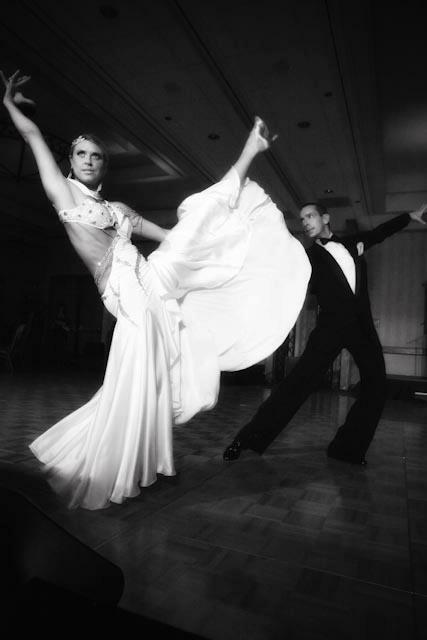 Our gala event, Dancing with the Stars Portland will be a dazzling ballroom dancing competition pairing Portland stars with professional dancers from Fred Astaire Dance Studio. This gala event, to be held March 31, 2012, promises to be a fun and festive evening, connecting and engaging community members and benefiting PCRI. In addition to the graceful and dramatic moves of the dancers, the evening will feature a lively reception, auction, cocktails and a gourmet plated dinner at the Portland Doubletree at Lloyd Center. All of the funds raised from the event will be directly utilized to preserve PCRI’s existing affordable rental homes, develop new homes for affordable rental and homeownership opportunities and expand PCRI’s award-winning, culturally-specific resident services programs. Register today or visit our Get Involved page to learn more ways you can participate! PCRI and Cascadia Green Building Council’s Emerging Professionals are teaming up with Green Hammer Construction for a hands-on volunteer project on March 3, 2012. Volunteers of all kinds are encouraged to participate – no green building knowledge is necessary! For the project, Emerging Professionals and other volunteers (you need not be an Emerging Professionals member to join) will utilize information gained from pre-improvement testing performed in mid-February to implement upgrades and other refurbishments targeted to improve the efficiency, health and durability of the home. Does the thought of all that volunteering make you hungry? We’ve got you covered! Parr Lumber is generously grilling up a BBQ lunch for volunteers on the day of the event. Please note: registration is required for the volunteer event. Important information (including the volunteer site) will be distributed to the list of registered participants. Please contact Travis at PCRI if you have any issues with registration. 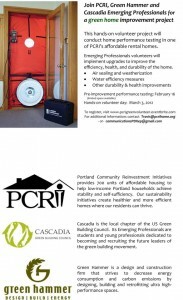 PCRI is pleased to announce our alliance as a Community Partner with Cascadia Green Building Council and the International Living Future Institute for their upcoming Living Future 2012unConference. This volunteer project leads up to the May conference. More information about the unConference can be found at the Cascadia GBC’s website. In preparation for our upcoming premiere gala benefit (coming March 31–mark your calendar! ), PCRI will host Break Out! a celebration featuring a break dancing show and lesson starring artists and dancers from Oregon Universal Zulu Nation. The Break Out! celebration will be held Monday, January 30 at the June Key Delta Community Center in North Portland. Break Out! 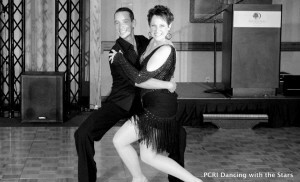 is the kick-off event for PCRI’s upcoming gala benefit: Dancing with the Stars – Portland. In addition to the high-energy B-Boy dancing, you will have the opportunity to learn more about the gala event, which will support PCRI’s affordable rental homes and resident services. The Break Out! celebration will also share information and how you can become involved to support PCRI and the gala event. Oregon Universal Zulu Nation’s dance and urban art (including dancer and PCC Instructor Levi Banner, pictured at right) is often featured at First Friday at Salmon Street Studios in Southeast Portland. Through their art and involvement in community and after-school programs, they work to build a stronger future for all by serving the underrepresented and underprivileged members of the community. The June Key Delta Community Center is dedicated to the energy and foresight of Portland, Oregon educator June Key. The Community Center is a Living Building, a green building project developed by African American women, Portland sorority members of the Alumnae Chapter of Delta Sigma Theta. The building will provide a community center that sustains the needs of the multi-cultural neighborhood it serves, encouraging sound and health social, educational, artistic, economic and environmental development and awareness. Due to space constraints, PCRI kindly requests your RSVP for Break Out! Follow the link below to sign up online. We’re excited to announce a new partnership with the Cascadia Green Building Council’s Emerging Professionals! 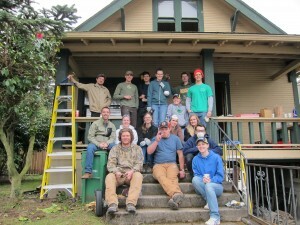 In March 2012, the Cascadia Chapter of Emerging Professionals, with generous assistance provided by Green Hammer Construction, will join PCRI for a hands-on volunteer project. 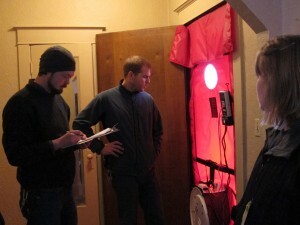 For the project, expected to take place on March 3, 2012, Emerging Professionals volunteers will join PCRI staff and Andrew Morphis, Home Performance Division Manager for Green Hammer, to conduct home performance testing in one of PCRI’s affordable rental homes. With the information gained from the testing, Emerging Professionals volunteers will implement efficiency upgrades and other refurbishments targeted to improve the efficiency, health and durability of the home. Want to get involved or learn more? Join the Emerging Professionals at their monthly meet-up, Tuesday, February 7 at 6:30 p.m. at Portland’s Lucky Lab Beer Hall on NW Quimby. PCRI staff and Emerging Professionals organizers will be on hand to share details and enroll volunteers. We’ll also post additional details here on the PCRI News blog and on our events calendar. PCRI is also excited to announce our alliance as a Community Partner with Cascadia Green Building Council and the International Living Future Institute for their upcoming Living Future 2012 unConference. PCRI staff will join Living Future organizers for their inaugural event on January 24 at Hopworks Urban Brewery’s innovative “eco-brew” facility. More information about the unConference can be found at the Cascadia GBC’s website.